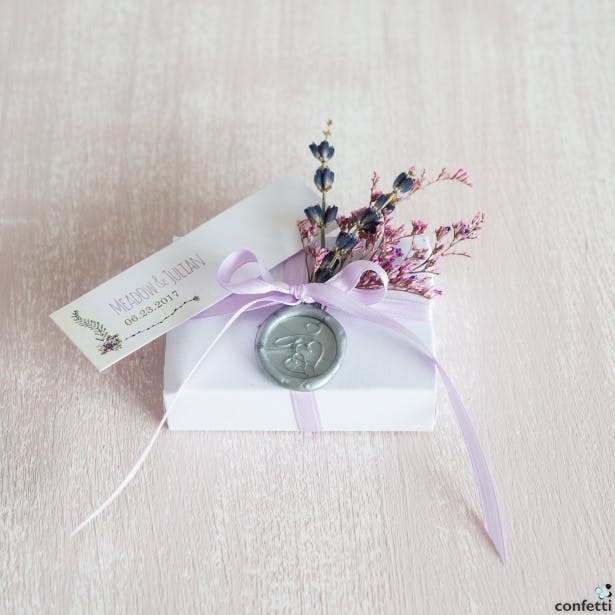 To create wedding favours your guests will really love, you don’t have to spend your entire budget. Layers and texture are the keys to creating something lovely—something that your guests will appreciate. To demonstrate, we’ve taken one plain little white matchbox and created three distinctive looks. 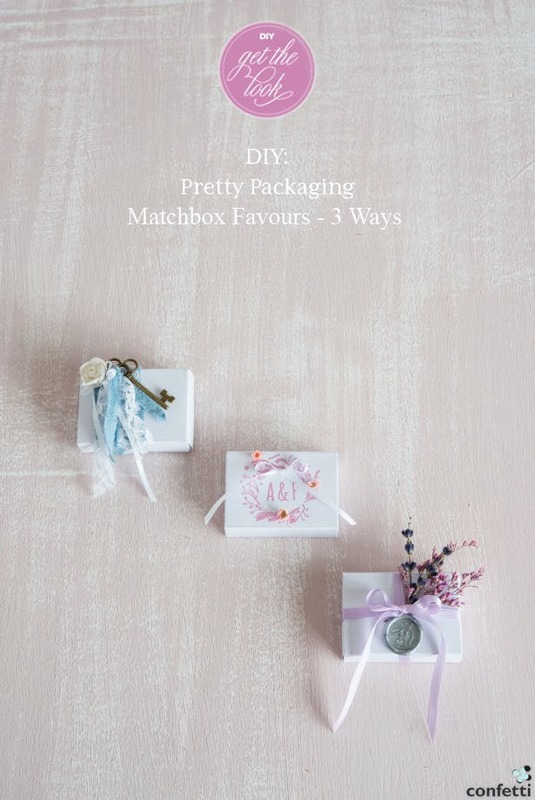 Here are our DIY pretty matchbox wedding favours. A classic vintage wedding theme is often incomplete without lace, ribbon, and antique-effect charms. 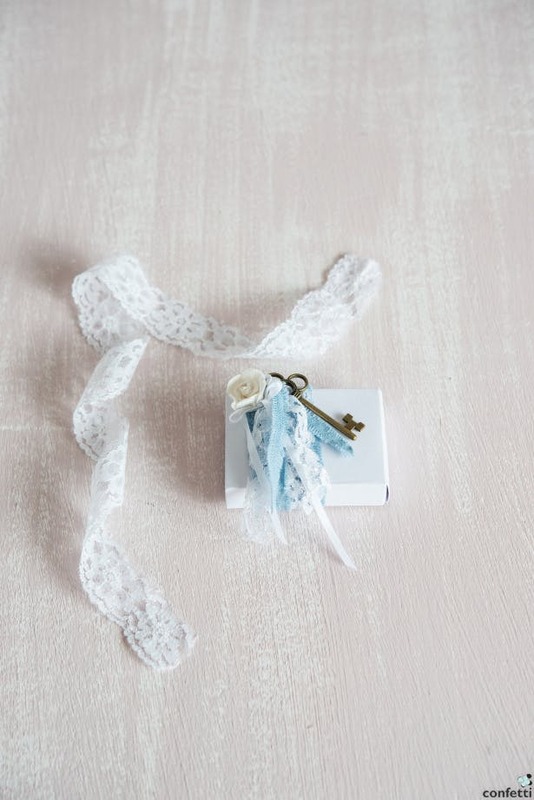 Therefore, our first matchbox mixes the delicacy of white lace with raw blue muslin ribbon, together with a delightful antique key charm. With these ingredients you’re guaranteed your very own vintage blue vibe. Step 1: Using the largest blue ribbon, create the main wrap around your matchbox and glue it ito place. This is your “base” wrap. Step 2: Layer some of the smaller strands of ribbon on top of your base wrap and, when you’re happy, glue them into place too. Step 3: Attach your key charm to the matchbox using a couple of the smaller pieces of ribbon and a tiny dab of glue. Step 4: Make sure all of the details are secured in place, and add a tiny paper flower as an accent. Soft pink shades are a popular wedding colour palette, particularly for spring or summer weddings. 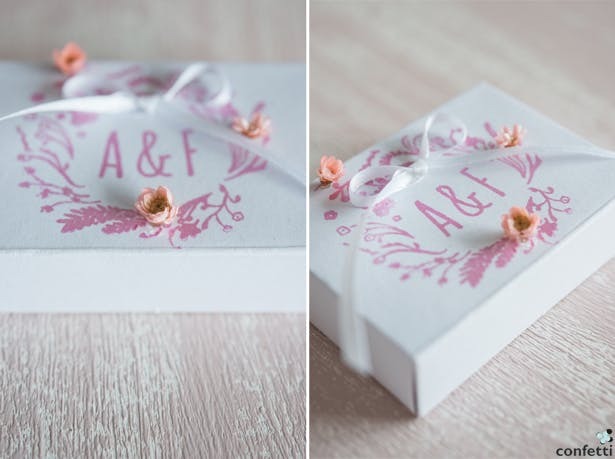 For our second matchbox, we blended the traditionally rustic element of dried florals with the elegance of a pink monogram embellishment. The result is a very pretty pink rustic trinket box. 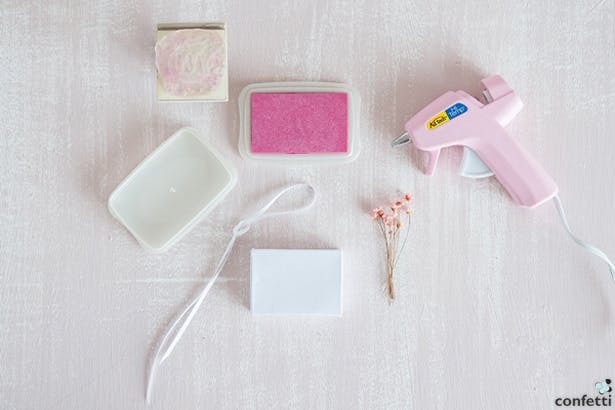 Step 1: Take your pink ink (certain paints may work just as well, if you wish to use that instead), pour some into a flat dish, and carefully press your rubber stamp to it. A good idea may be to first apply your ink to a sponge, so that you can press the rubber stamp to the ink-filled sponge instead; this avoids excess ink being left on the rubber stamp, and makes drips less likely. Step 2: Press your inked rubber stamp to your matchbox to leave a pink insignia. 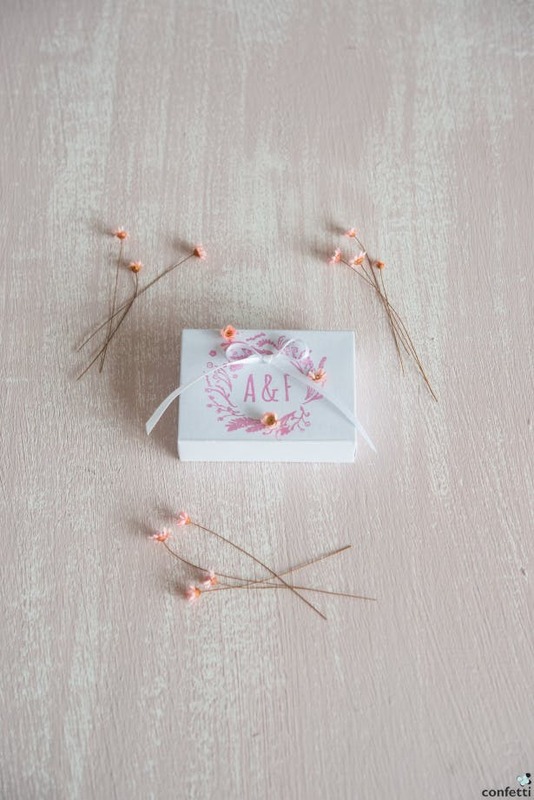 Step 3: Pull the blooms off your wild flower stems and secure the buds in place on your matchbox with glue. 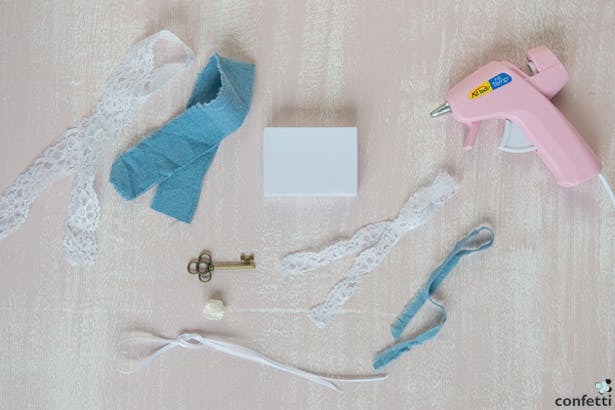 Step 4: Tie your white ribbon in a tiny bow and secure that, too, to your matchbox. 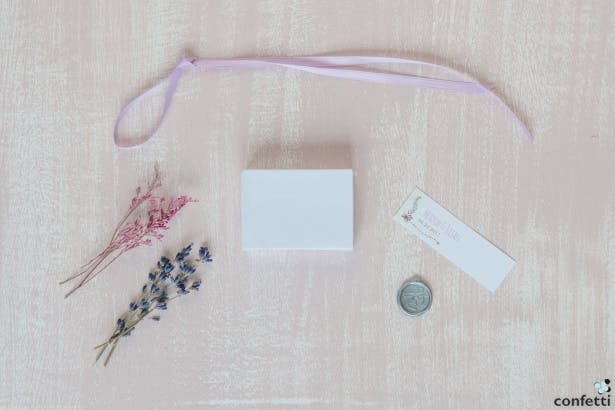 Incorporate the charm of the old world with our third and final matchbox; by incorporating a stylish wax seal as a finishing touch, reminiscent of a vintage or Parisian wedding theme, you have the opportunity to add character and a stamp of personalisation. 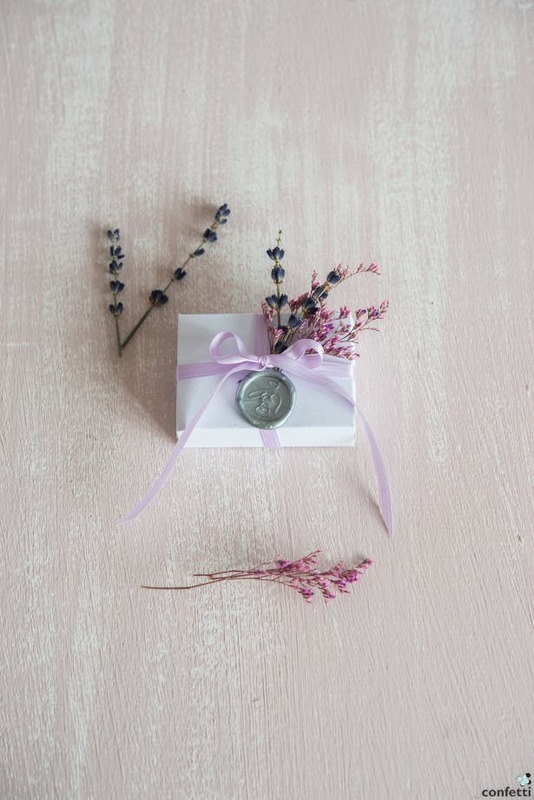 That, paired with a colourful burst of dried flower sprigs, makes for a stunning country wedding themed favour box. 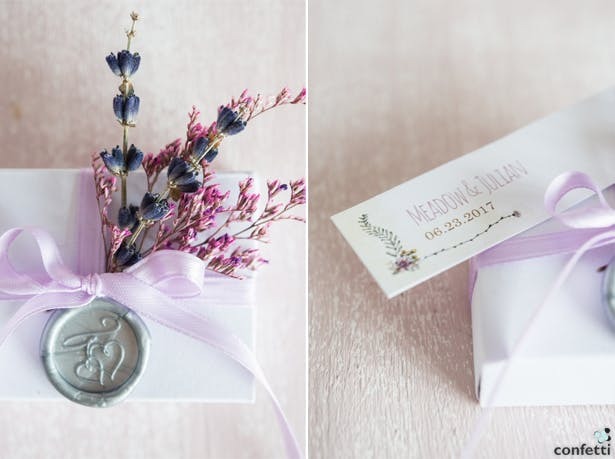 Step 1: Fasten your lilac ribbon around the matchbox and tie it in a bow. Secure the ribbon with glue if you wish! Step 2: Arrange the sprigs of heather and lavender under the ribbon. Again, secure with glue if you wish. Step 3: Finally, add your wax seal and your tag. Leanne enjoys being a highly creative person with a life-long passion for art, music, books, and writing.